Sounds like a fine Musical Instrument. Click here to hear these "A" chimes. 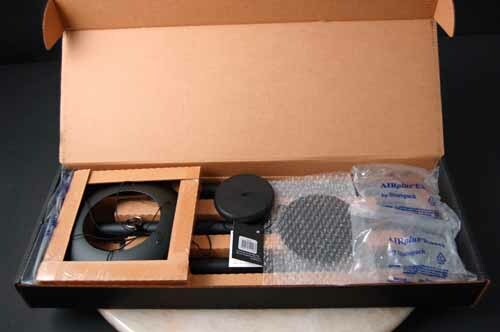 "Corinthina Bells are the first in the next generation of windchimes that combine the superior tones of its centrally suspended tubes with a visually exceptional design. Made with durable powder coated aluminum, Corinthian Bells windchimes come with a 5 year warranty against defects in craftsmanship. Corinthian Bells are musically designed to produce soft, rich tones that blend together in beautiful harmony. 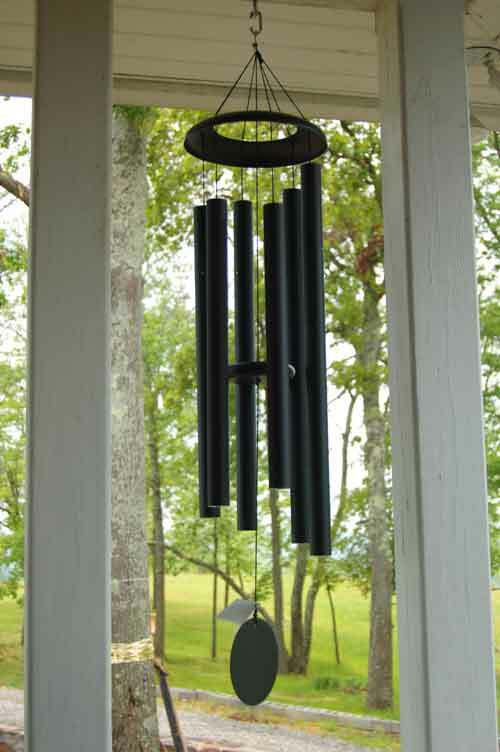 With a light breeze, these chimes will sing out their soft notes and gentle resonance, providing a peaceful, musical background to your day." Producing a set of concert quality chimes is a very complex process involving sophicisicated physics in a blend of science and art. There are many discussion groups on the web devoted to this subject. There are many variables. As with any musical instrument, there are great variations in quality. You will not find a higher quality chime than the Corinthian Bells at any price and the attention to detail is unsurpassed. The details are extremely clean from a designers viewpoint. 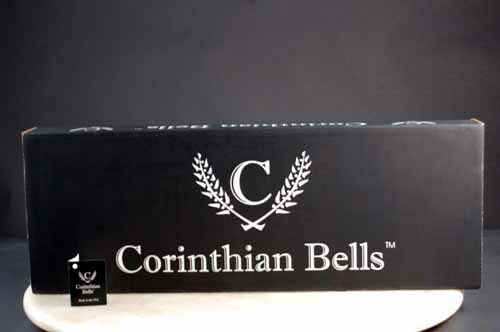 Corinthian Bells will give you enjoyment and relaxation for a lifetime and beyond. They are heirloom quality. The graph above represents the pin location to achieve a resonate frequency when the tube is struck. It is 22.4% from the end of the tube and if pined properly will produce virtually no vibrition. Combined with the proper alloy, diameter and thickness, produces incredible tone and sustain.